Minuteman Press Frankston have the printers on-site to assist with all of your plan printing and wide format printing requirements. We can do it all, from a simple A3 plan through to A0. We have high quality, professional digital printers, which provide high resolution, accurate reproduction, which is essential when printing architectural plans or similar. Wide format printing of large size promotional items, such as posters and banners are also no problem. Minuteman Press Frankston are pleased to offer our customers the complete range of services, including design, print, scanning, laminating and more. While our designer won’t create architectural drawings and plans for you, they can help with wide format posters, banners and other marketing materials. Professional printers, creating high quality prints with fantastic definition on even the smallest details. Can accommodate all sizes up to A0. We can even scan your original plans back to PDF, to enable you to email them to your clients or just to store on your computer for a later date. Ask us now. Minuteman Press Frankston is pleased to provide free quotes and fast service for all of their design and print services. Contact us now on 9773 5586. If you’re planning a digital print job that requires only a small amount of printing, you may not think that it’s necessary to use the services of a professional printer. But there are some jobs that are just too challenging to do at home if you want high-quality result. For example, when doing wide format printing for a poster or banner. You could try printing at home on a standard printer and piecing together the final product like pieces of a puzzle, but that’s never going to deliver a high-quality result. Additionally, if you try and piece multiple print-offs together, you will be limited to printing on certain mediums only. Standard-sized photo paper is likely to be as good as it gets. If you’re going to print a poster for a corporate function or another important event, the quality of your poster matters. 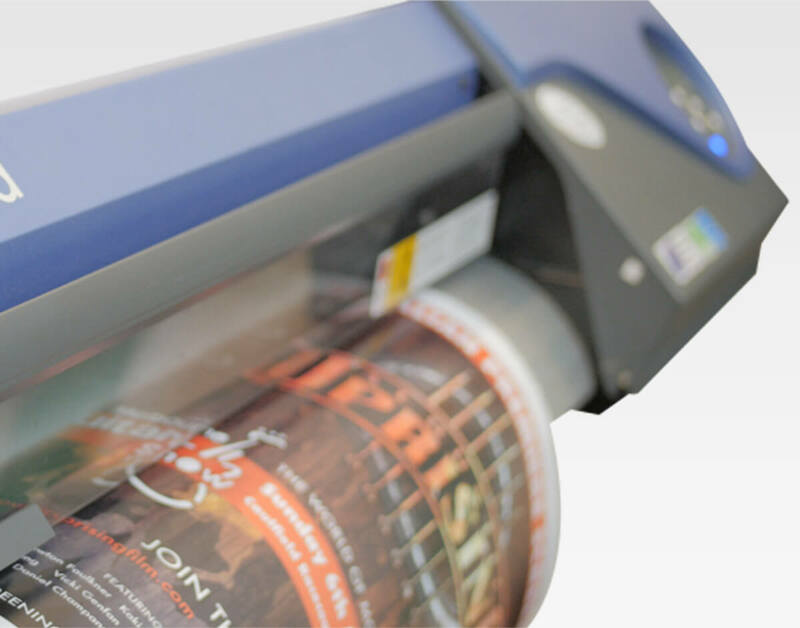 A professional printer has the technology available to produce one cohesive piece using wide format printing. Wide format printers are designed to accommodate jobs including those of a more artistic nature and those produced for the architectural industry. As a result, the print quality is high and this allows individuals to produce graphics of a higher quality than is often available with typical digital printers. Additionally, a print can appear on a variety of different mediums, where printers at home are usually limited to photo paper at best. This can ensure that the result is far more professional than the result of something produced on a standard printer. Minuteman Press Frankston has all your plan printing and wide format printing needs covered. For more information, contact us today on 9773 5586 or sales@mmpfrankston.com.au We’re open Monday to Friday, 8.30am till 5pm and can design and print, or print your design.